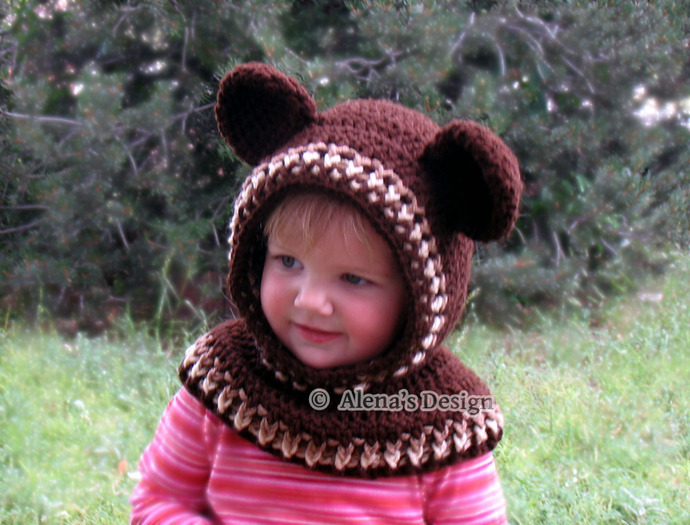 This seamless Hooded Cowl keeps your child warm on those really cold days! Also the crocheted ears and colored trim gives this Cowl a contrasting, attractive look. This Hooded Cowl is my own original design. It is 100% acrylic for both warmth and softness, and the back of the Hood is round. Ready to ship. For an accurate head measure, place a tape measure across the forehead and measure around the full circumference of the head. Always keeping the tape snug for accurate results.